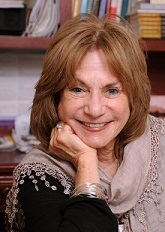 Eating Disorder Center – Judith Ruskay Rabinor, Phd. The American Eating Disorders Center of Long Island located in New York City and on Long Island offers out patient psychotherapy services to those suffering from anorexia, bulimia, binge eating (compulsive over-eating) disorder, and body image problems. Our professional staff includes psychologists, psychiatric social workers, psychiatric nurses, family therapists, nutritionists, and psychiatric and medical consultants with hospital affiliations. All professionals have had training and experience in working with eating disorders. Training in the understanding and treatment of eating disorders is offered to qualified professionals. For more information, please contact Judy. In all eating disorders, there is a tendency to feel powerless and out of control, especially with regard to issues around food, weight, and the body. Central to recovery is the shift to feeling in charge rather than powerless. Finding that combined approaches are most successful in dealing with eating disorders, our staff draws from psychoanalysis, feminist theory, cognitive and behavior therapies and a wide range of treatments in approaching these complex problems. 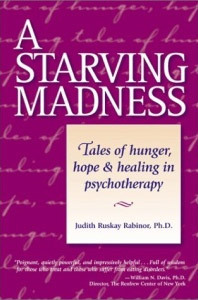 Anorexia is characterized by the starving of one’s self, sometimes to the point of medical danger. Medical consultants with hospital affiliations are available for referral when indicated. These specialists, experienced in treating eating disorders, will assist the patient in dealing with the medical aspects of the problem and work collaboratively with the American Eating Disorders staff. Both anorexia and bulimia have in common the fear of being fat. Bulimia is characterized by compulsive overeating or binging and then purging by vomiting or using laxatives, also often leading to medical danger. While the reasons may vary, successful treatment requires a thorough exploration of the fears and their origins, as well as here and now ways of dealing with the starving, binging, or purging behaviors. 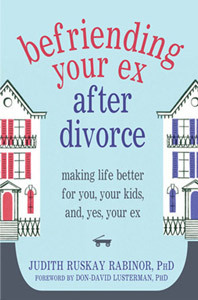 In many situations, a focus on the family dynamics may be indicated, particularly in anorexia. Feelings of insatiable hunger for something: what that something is isn’t clear. Suppressed emotions: Stuffing down feelings, often with food, instead of experiencing them fully and learning constructive ways of expressing them. Fears of self-assertion: Saying “no,” expressing yourself, asking, and taking actions, or feeling guilty if you do or don’t. Feelings of emptiness or loneliness, which you try to fill with food. Fears of being too close to someone and a need to create fences and boundaries. Needs to control how other people relate to you. Experiences with people, with work, or with play that are depriving. Fears about one’s attractiveness or sexual feelings. Feelings of falling apart, taking in food as if it were glue, to hold one’s self together. Express emotions instead of stuffing down the feelings. Differentiate between emotional hunger and psychological hunger. Learn constructive and effective ways of handling stress. Develop a positive self-image and confidence. Develop the ability to build boundaries of hunger, satiety, and comfortable well-being. End the struggle with food and fat and learn to maintain the weight of your choice while feeling in charge. Develop a strong sense of internal empowerment.